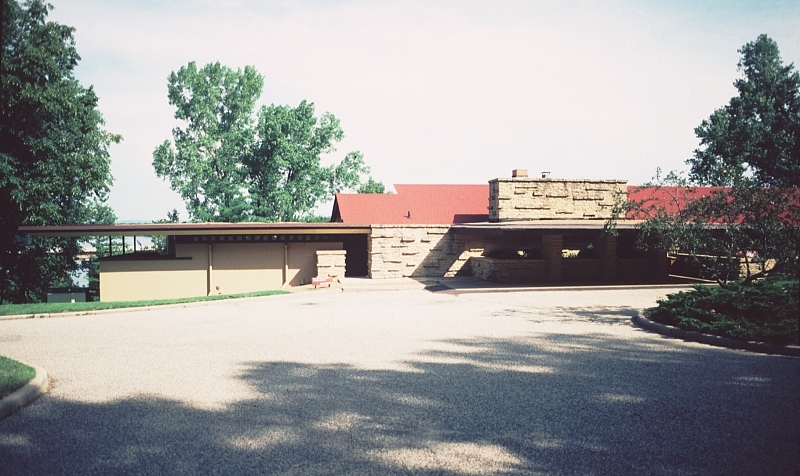 Located near Taliesin, this restaurant was designed in 1953 by Wright; work began in 1957, although it was unfinished at Wright's death in 1959. 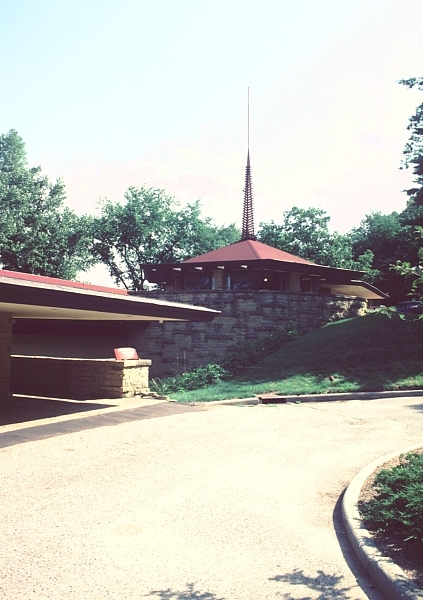 The restaurant opened in 1967, somewhat altered from the original design. 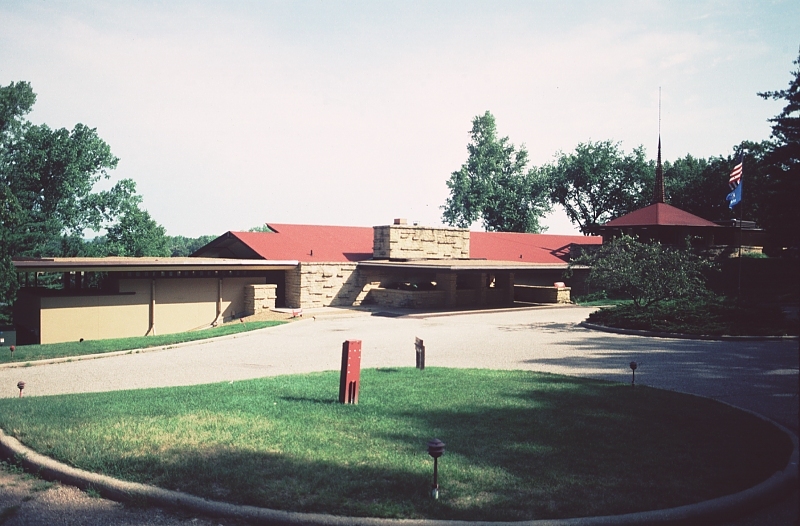 Today it serves as the Frank Lloyd Wright Visitor Center. The structure is very long--about 300 feet--along the side of a hill. The building is raised up on masonry piers and has a row of of window along the length of the building on the river side. The other side faces the hill.